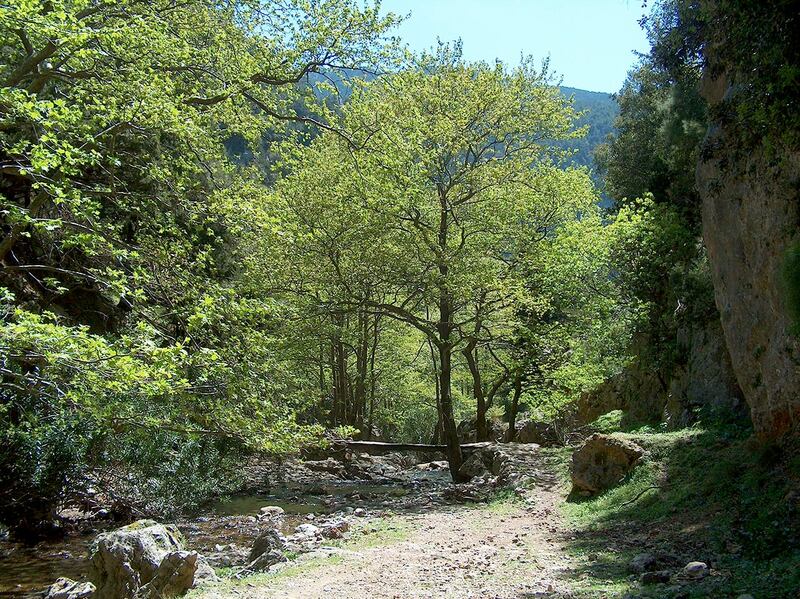 Hiking through the naturally wilderness and unpolluted areas of the magnificent gorges of Crete, nestling in between awesome mountain peaks, will leave you with an unforgettable holiday experience. 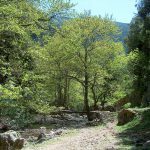 One of the best gorges in southwest Crete and part of the Levka Ori, the White Mountains, is definitely the Agia Irini Gorge, running from north to south and named after the small village Agia Irini located to its north. Less well known and away from the big crowds, the gorge surrounds you with a remarkable beauty and flora. This protected area on the western side of the White Mountains offers valuable ingredients for an active and unique excursion day. The 7.5 km impressive pass descends around 500 meter and crosses a wild area of nature with mountainsides reaching 500 m in altitude and a wonderful variety of plants and flowers. 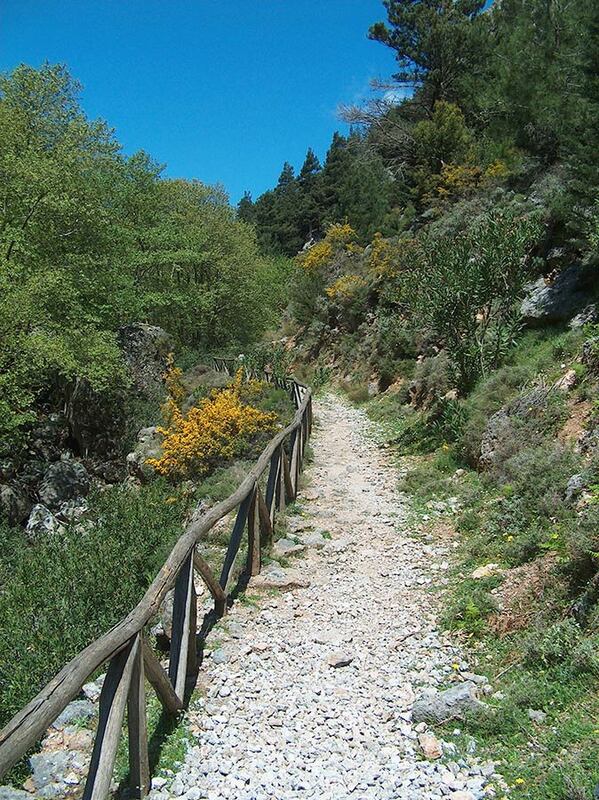 A good part of the gorge is under the shade of plane trees, pines and oleanders. 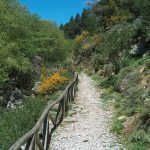 The 2,5/3-hour walk on a well maintained path is tough, but not exhausting and can be seen as a very good and easier alternative to the Samaria Gorge. Comfortable walking shoes and good health are required!